Rune calendar. National Museum of Lithuania, Vilnius. 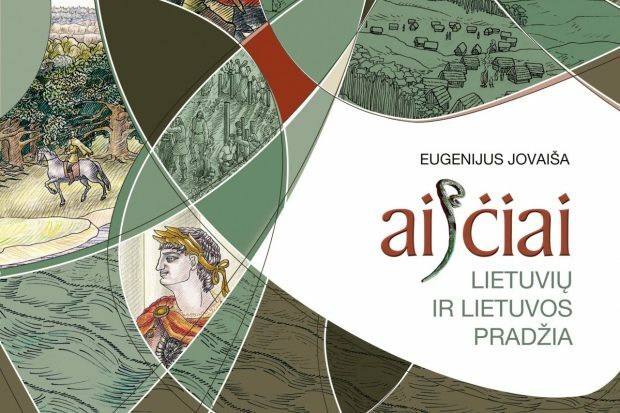 There are no books about Lithuanian Runes, only several articles which are not accepted by academics, most of them laugh when you start talking about "Lithuanian Runes". Why? 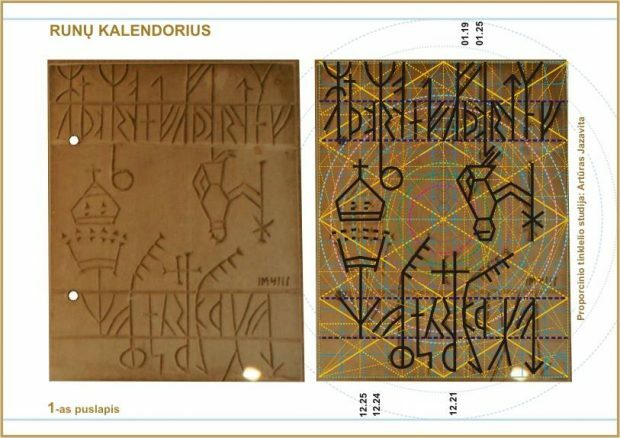 It is really very strange because two rune calendars lie down in an exposition in Nation Museum of Lithuania in the very heart of Vilnius. Maybe it's because then Lithuanians should recognize that there was a different culture before Christinianization and M. Mažvydas' Bible wasn't the first Lithuanian writing at all? Let's leave now the political question aside and return to our exposition, its findings and conclusions by Norwegian linguist. 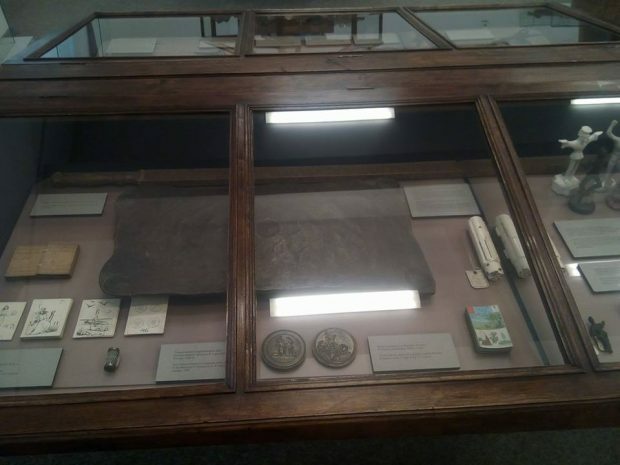 National Museum of Lithuania has two Rune calendars which are is this exposition, and it is not hidden anywhere, reachable for 2 Euros admission payment (You can find this wonderful museum and its working hours here: http://www.lnm.lt/en). First of all, on the 3rd of February, 2017 those writings were sent to a researchers of Old Norse language. 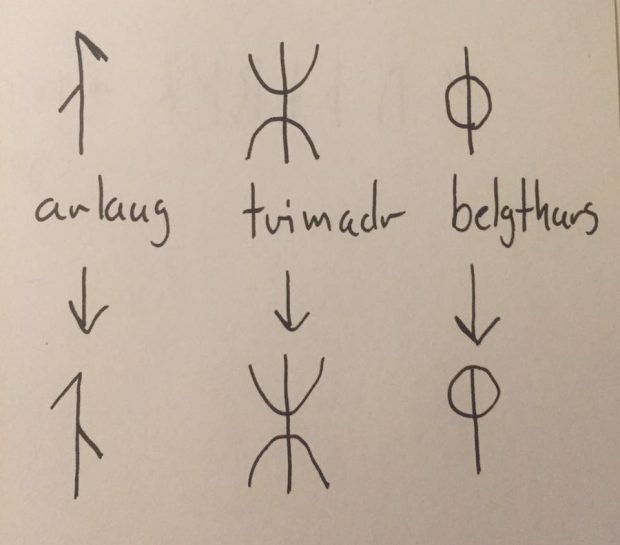 The question was: What is Your opinion, those who know Old Norse, are these Runes similar, or maybe You can even read them? Or how distinct are they? Soon Norwegian linguist Gard Kristiansen from Oslo answered: "The second row is "fuþorkh" and that repeats itself. Those Runes stands for the weakdays. The first row is the golden numbers. 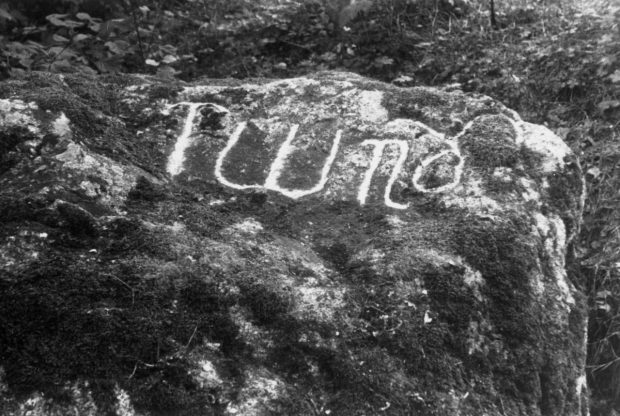 It concists of the 16 Runes and the "tvei maðr" (rune no. 4 in the picture) and the árlaug Rune (Rune no. 3 on the first line on page two) The symbols in the middle are marks to represent special days, masses etc. The golden numbers are used to figure out which Rune in a specific year wil be that years sunday Rune. In that way the calendar can work for every year. This row is repeated 52 times + 1 f. It gives you 365 days. This wil be the second row and is the weekdays. (On the picture you can see the comparison with your calendar). On the first row you have the golden numbers Runes. It is 1-19 so they have added three bindrunes to the 16 in the fuþork. Yes it is a Runic calendar." 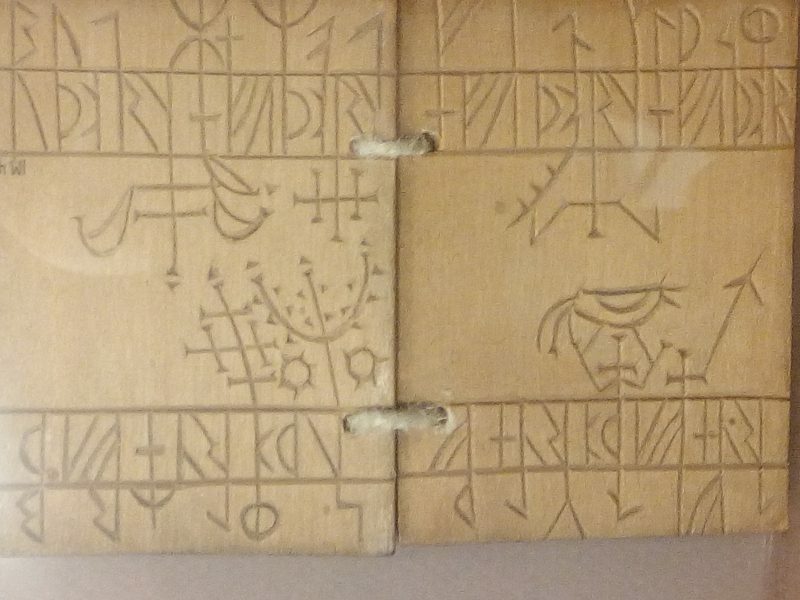 I also asked: "This is another example, not this book of about dozen wooden pages carved in runes, but also a "sword calendar of runes". So, it is a runic calendar, a Futhark, but different from Old Norse? Can we presume that it was written by Baltic people?" 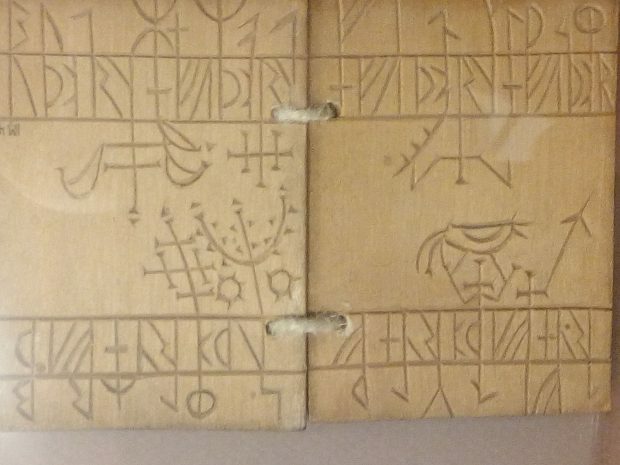 Gard Kristiansen: "This is a Runic calendar primstav." Let's read what a primstav is. According to Wikipedia, it is a Runic calendar (also Rune staff or Runic Almanac), a perpetual calendar based on the 19-year-long Metonic cycle, correlating the Sun and the Moon. 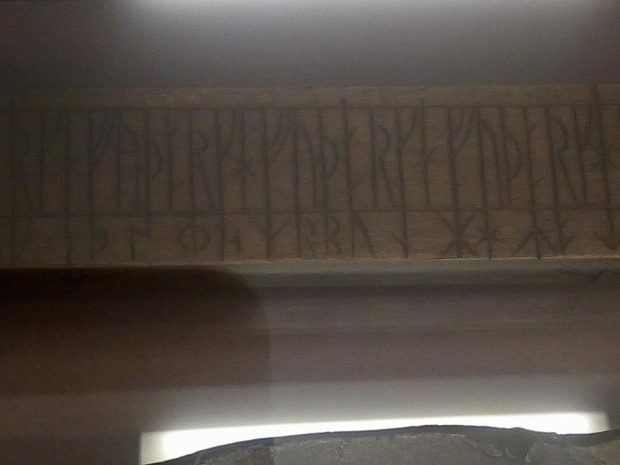 Runic calendars were written on parchment or carved onto staves of wood, bone, or horn. The oldest one known, and the only one from the Middle Ages, is the Nyköping staff from Sweden, believed to date from the 13th century. Most of the several thousand which survive are wooden calendars dating from the 16th and the 17th centuries. During the 18th century, the Runic calendars had a renaissance, and around 1800, such calendars were made in the form of tobacco boxes in brass. A typical Runic calendar consisted of several horizontal lines of symbols, one above the other. Special days like solstices, equinoxes, and celebrations (including Christian holidays and feasts) were marked with additional lines of symbols. The calendar does not prove knowledge of the length of the tropical year or of the occurrence of leap years. It is set at the beginning of each year by observing the first full moon after the winter solstice. The first full moon also marked the date of Disting, a pagan feast and a fair day. 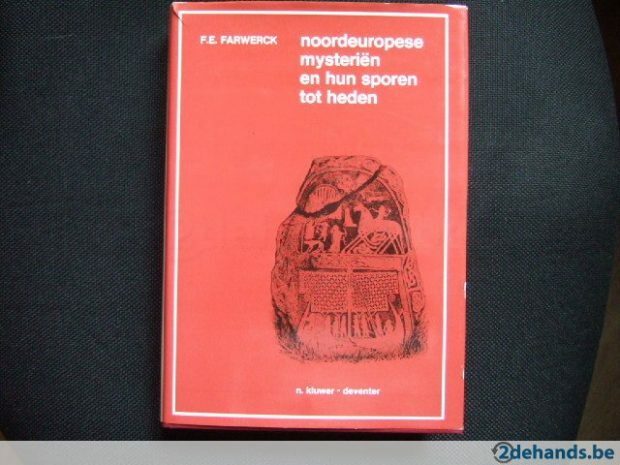 Those calendars were investigated by Dutch linguist Frans Eduard Farwerck (1889-1969) in his 1953 book Noord-Europese Mysteriën. 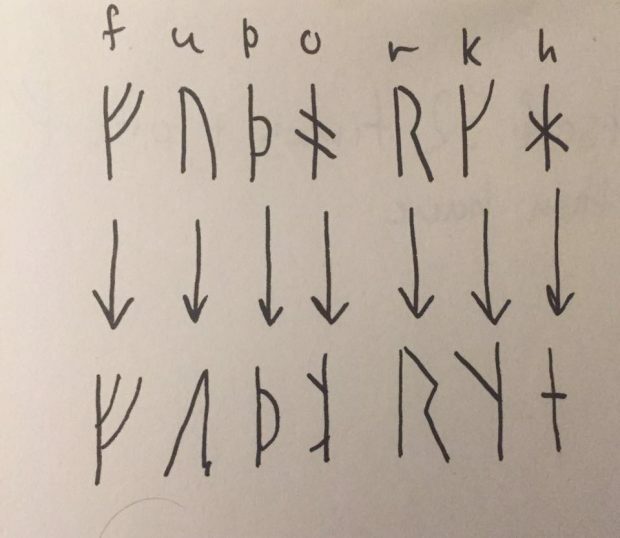 On one line, 52 weeks of 7 days were laid out using 52 repetitions of the first seven runes of the Younger Futhark. The runes corresponding to each weekday varied from year to year. On another, many of the days were marked with one of 19 symbols representing the 19 Golden numbers, the years of the Metonic cycle. In early calendars, each of the 19 years in the cycle was represented by a rune; the first 16 were the 16 runes of the Younger Futhark, plus special runes for the remaining three years: Arlaug (Golden Number 17), Tvimadur (Golden Number 18), and Belgthor (Golden Number 19). The new moon would fall on that day during that year of the cycle. For example, in the 18th year of the cycle, the new moons would fall on all the dates marked with Tvimadur, the symbol for year 18. Later calendars used Pentadic numerals for the values 1–19. A version using Latin alphabet for weekdays and Arabic numerals for the golden numbers was printed in 1498 as part of the Breviarium Scarense. 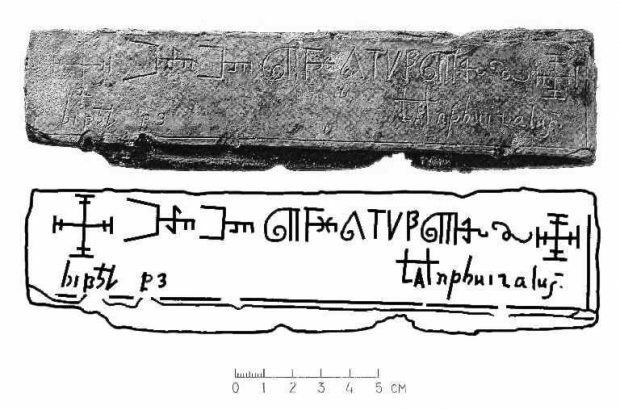 It is not the only finding with "strange" writings in Lithuania. 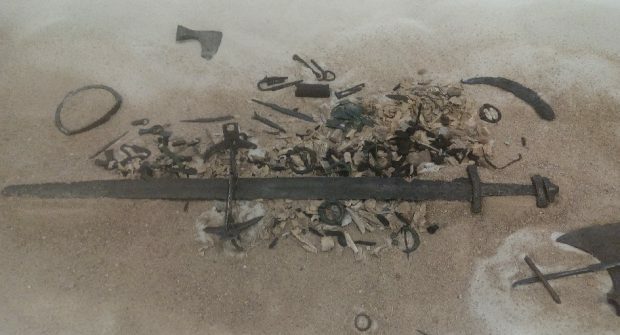 In summer of 2003, archeologists found a metal plate which was later dated being of the 14th century, with Runes. 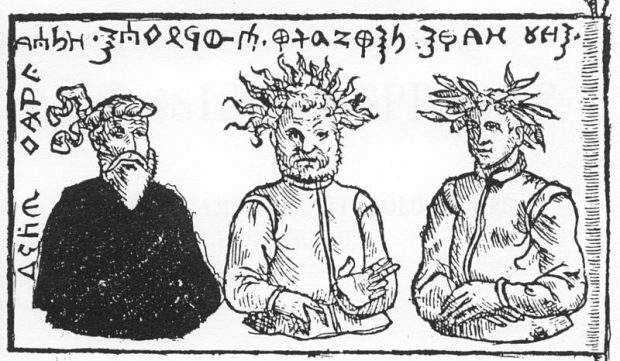 Greek language specialist dr. Mindaugas Strockis concluded that in 1370 Grand Duke of Lithuania Algirdas (Ἄλγερδος) was called a king (in Greek βασιλεύς (karalius), so the plate's first line could be read as ΑΛΓΗΡΔ ΤΟΥ ΒΑΣΙΛΕΩΣ ("of king Algirdas"). The writings of the second row of the plate remain unclear. Also, similar writings can be found of a flag of Widewuto, a legendary king of Old Prussians of the 6th century. Those writings were described by Simon Grunau (died ca. 1530), the author of Preussische Chronik, the first comprehensive history of Prussia. Proportional grid studies of Artūras Jazavita. Going back to Rune calendars, it is important to say a little bit more about Metonic cycle, used in them. According to Wikipedia, for astronomy and calendar studies, the Metonic cycle or Enneadecaeteris (from Ancient Greek: ἐννεακαιδεκαετηρίς, "nineteen years") is a period of very close to 19 years that is remarkable for being nearly a common multiple of the solar year and the synodic (lunar) month. The Greek astronomer Meton of Athens (5th century BC) observed that a period of 19 years is almost exactly equal to 235 synodic months and, rounded to full days, counts 6940 days. The difference between the two periods (of 19 years and 235 synodic months) is only a few hours, depending on the definition of the year. Considering a year to be 1⁄19 of this 6940-day cycle gives a year length of 365 + 1⁄4 + 1⁄76 days (the unrounded cycle is much more accurate), which is about 11 days more than 12 synodic months. To keep a 12-month lunar year in pace with the solar year, an intercalary 13th month would have to be added on seven occasions during the nineteen-year period (235 = 19 × 12 + 7). When Meton (Μέτων ὁ Ἀθηναῖος) introduced the cycle around 432 BC, it was already known by Babylonian astronomers. A mechanical computation of the cycle is built into the Antikythera mechanism. The cycle was used in the Babylonian calendar, ancient Chinese calendar systems (the 'Rule Cycle' 章) and the medieval computus (i.e. the calculation of the date of Easter). It regulates the 19-year cycle of intercalary months of the modern Hebrew calendar. Traditionally, for the Babylonian and Hebrew lunisolar calendars, the years 3, 6, 8, 11, 14, 17, and 19 are the long (13-month) years of the Metonic cycle. This cycle, which can be used to predict eclipses, forms the basis of the Greek and Hebrew calendars, and is used for the computation of the date of Easter each year. The Babylonians applied the 19-year cycle since the late sixth century BC. As they measured the moon's motion against the stars, the 235:19 relationship may originally have referred to sidereal years, instead of tropical years as it has been used for various calendars. According to Livy, the king of Rome Numa Pompilius (753-673 BC) inserted intercalary months in such a way that in the twentieth year the days should fall in with the same position of the sun from which they had started. As the twentieth year takes place nineteen years after the first year, this seems to indicate that the Metonic cycle was applied to Numa's calendar. 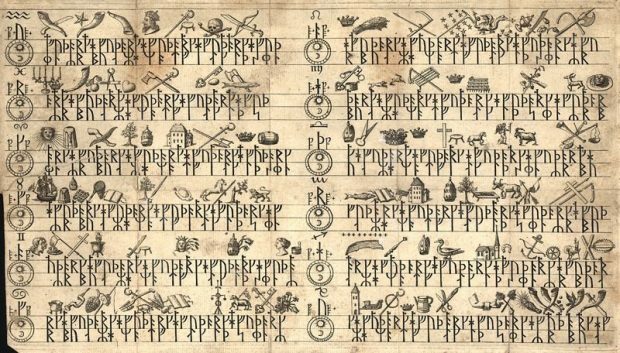 The Runic calendar is a perpetual calendar based on the 19-year-long Metonic cycle. 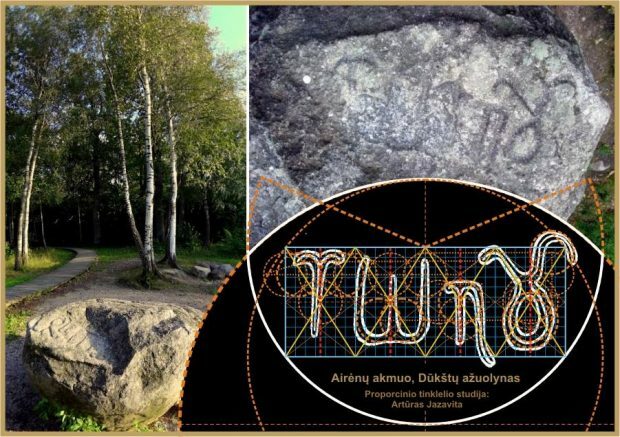 1) There is enough material to investigate for those who are academics and research Lithuanian Runes deeply. 2) Rune calendars as well as Rune stones are found in all Europe, the last news from 2016 is from Inner Hebrides (Scotland) http://www.runforum.nordiska.uu.se/blog/runestone-found-in-the-inner-hebrides-of-scotland. Lithuania is not an exception. 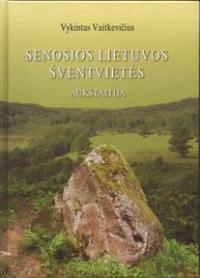 3) Thorough scholarly investigations of Old Lithuania by Lithuanian scholars prof. Eugenijus Jovaiša, dr. Vykintas Vaitkevičius are could help to achieve the goals of investigation: to know exactly a) what are Lithuanian Runes, b) are Lithuanian Runes' calendars made here or anywhere else (for example, Sweden). This should lead to the conclusion that Lithuanians wrote in Runes which is now only a hypothesis. 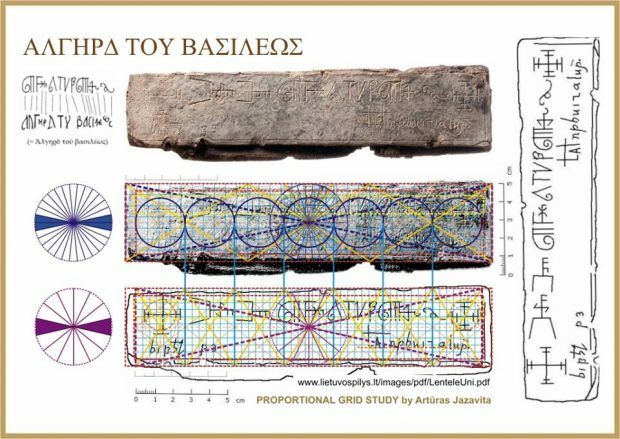 4) So, as we see, Lithuanian Runes and their possible connection with Scandinavian Runes and Rune calendars is a subject of a thorough scholarly investigation. A couple of books from many important researches done by E. Jovaiša and V. Vaitkevičius. 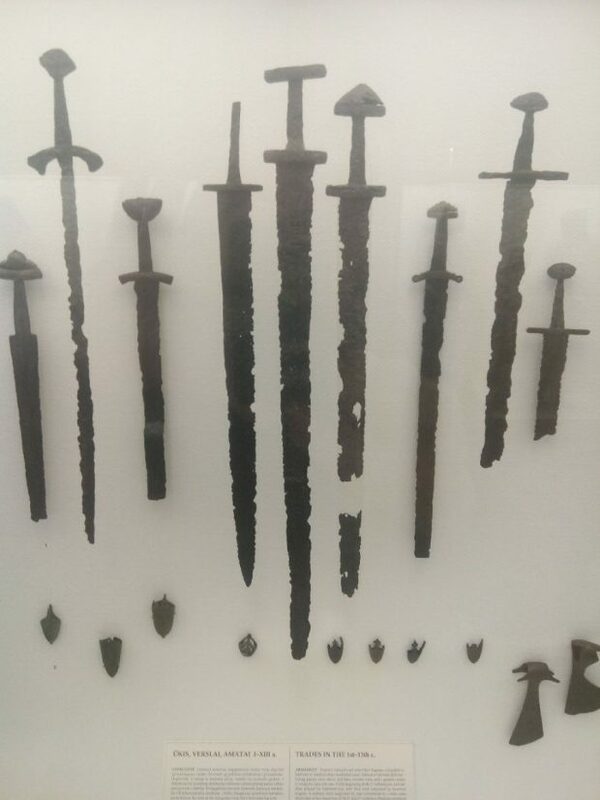 Old Lithuanian swords (National Museum of Lithuania). Yes i know him, never talked with. Isn't he a pseudohistorian? Do you have any contacts? 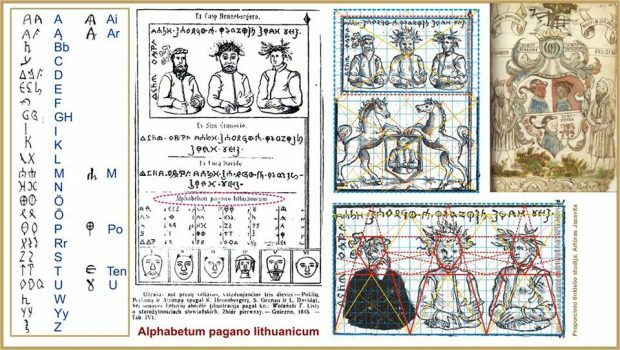 Do you know Juozas Šeimys, who is a researcher of Lithuanian runes? You should find him and talk to him if you didn't do it yet. 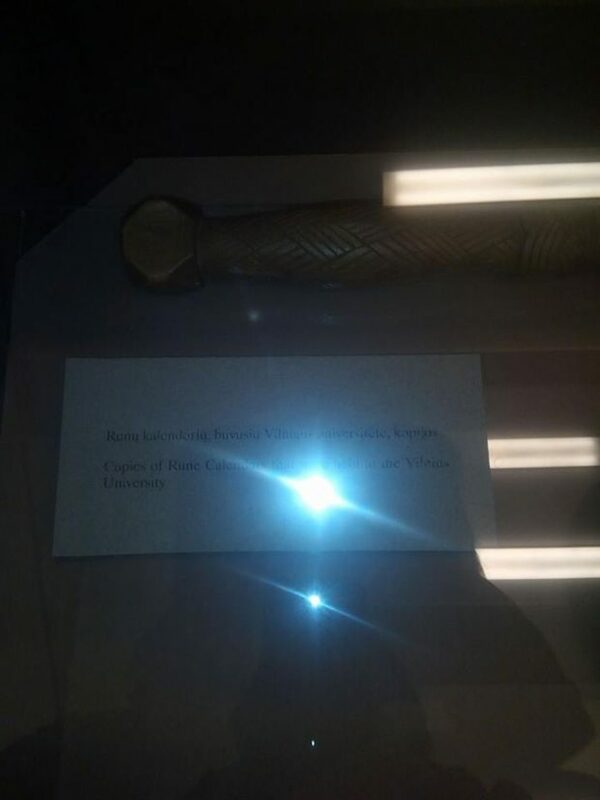 Can we afford "academic" or political, as you name it, laughter about this part of our historical and cultural heritage? We were the last pagans in the Europe to stand against The Teutonic Order and against imposed conversion to Christianity. Is it not polytheistic customs that has shaped Lithuanian Grand Duchy into what it was? Christianity has belittled many virtues and traditions, and I wouldn't be surprised if some parts of our roots would have been buried.